Are you a table tennis player that is struggling in tournament play? 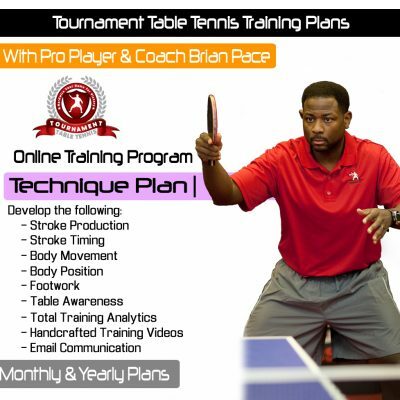 Are you a table tennis player that seems to have no game plan in competition? Are you a table tennis player that seems to have no idea of what direction your training should go in post-tournament? If you have answered yes to any of these questions, then the Tournament Table Tennis – Tournament Program is exactly what you need. 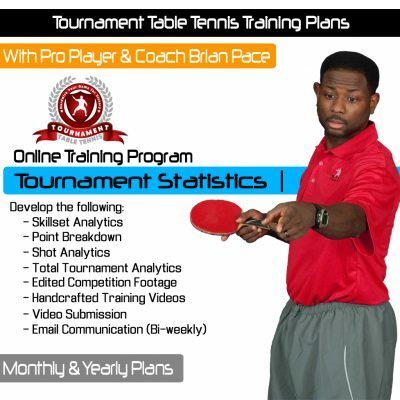 The Tournament Table Tennis – Tournament Stats & Video Plan is designed for table tennis player that are interested in having the entire tournament performance analyzed by a professional player and coach. This program allows you to isolate your performance by looking at “Tournament Analytics”, which is broken down into categories. The “Point Breakdown” is what you can view that will allow you to closely monitor how each point actually ended. This can be of importance because it can allow you to pick up on a trend of playing more or less aggressive at a certain stage in each game. This information will be color-coded in green for points won, and red for points lost to make for easy viewing. The Tournament Analytics will email to you for you to analyze each part of your total tournament performance. This is the hard data that will allow you to go back to your training session with a clear perspective of what skillset need to be improve, as well as which shots need to be played more often. 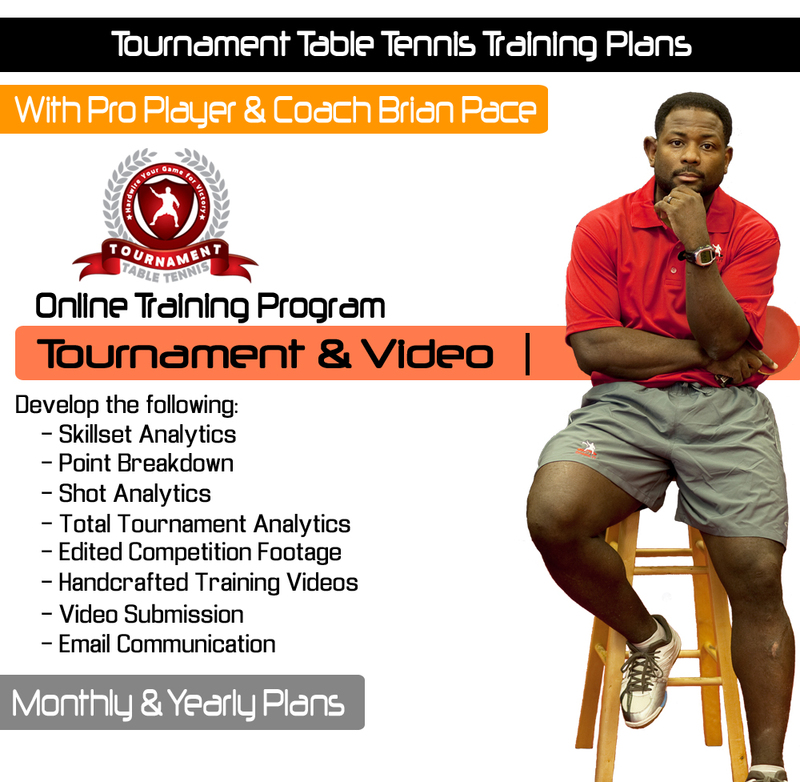 The Tournament Plan includes receiving a professionally edited video of your tournament performance. This video will not be the entire tournament, but it will be highlights of the negative trends, positive trends, as well as the tactical highlights. This is the type of data that a professional player and coach will give you that put you on an steep incline to compete better. This Tournament Plan – Tournament Plan also includes a “Skype Video Session” where the Tournament Analytics will be discussed, as well as the highlights from the tournament video footage. In this session is where your mistakes will be pinpointed. The Tournament Program also involved 2-4 professionally handcrafted training videos that focus on the most tactical relevant aspects of improving your tournament performance. These videos breakdown exactly what you should isolate that will change your performance, improve your skillset analytics, as well as your over tournament performance. For the “Tournament Analytics & Video Plan” you will need to submit one complete tournament match, or a complete practice match so that Tournament Table Tennis Software can bring back complete data that is accurate. After you sign-up and have paid, you will need to send your video via dropbox. After your video has been received, you will get email confirmation that the video has landed in our dropbox. Within 24 hours you will be given a tentative date at which your video will be analyzed and sent back to you.